In the United States, employees spend an average of 5.5 hours per week in meetings. 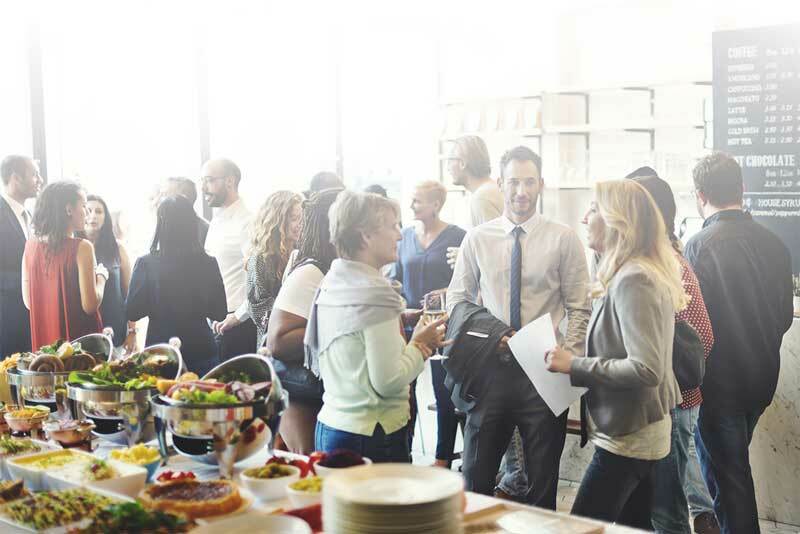 From small working lunches, to big presentations, our Healthy Meeting Guide outlines simple steps you can take to incorporate healthy food and physical activity into your meetings. By following these guidelines, you can set an example for others and, most importantly, improve your own health and the health of your employees. 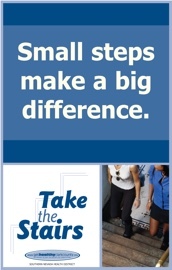 Maintaining a healthy diet at work is easier said than done. 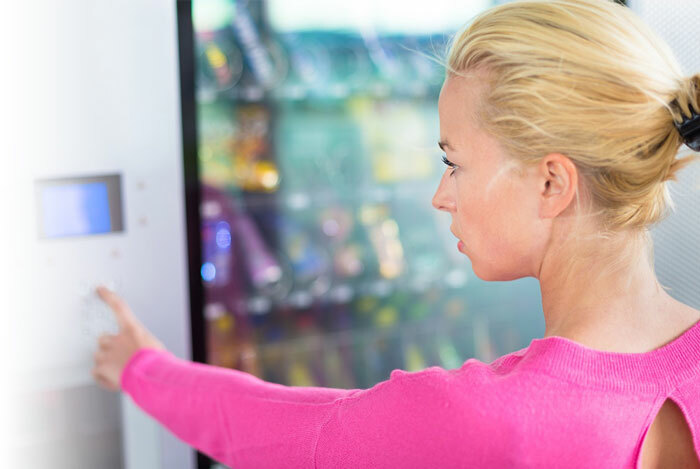 While vending machines, cafeterias and concession stands are convenient options when it comes to a quick meal, typically these snack foods and beverages are high in sugar, sodium and calories – leaving employees feeling lethargic post-lunch. The term “healthy vending” can refer to vending machines, concession stands and other food retail locations where packaged or prepared food is sold. If you have implemented, or are interested in implementing healthy vending in your workplace, email gethealthy@snhd.org or call (702) 759-1270. Point of Purchase Signage (PDF) – Snack Smart and Rethink Your Drink. In 2012, the Southern Nevada Health District developed and implemented a healthy vending policy in order to increase access to healthy food for our clients and employees. Our vending machines offer healthier options that meet nutritional guidelines which limit the total calories, added sugars, saturated fat and sodium of snack and beverage choices. Our policy also includes preferential pricing for snacks and beverages that meet nutritional guidelines. We have worked with several organizations including the Clark County Parks and Recreation Department, and the Las Vegas-Clark County Library District on healthy vending policies and practices. Recently, we partnered with the Nevada Department of Employment, Training and Rehabilitation to develop a Nutrition Standards Policy for their Business Enterprise Program (BEN). This policy applies to all vending machines, cafeterias, cafes, and snack bars in public buildings in Nevada. The BEN program is the first program of its kind to voluntarily adopt this type of progressive healthy food policy. 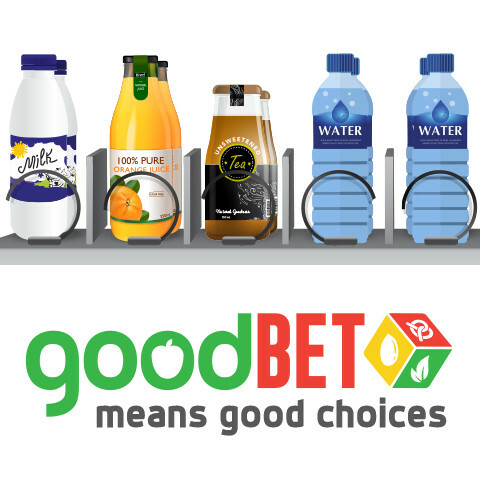 To take advantage of the BEN Nutrition Standards Policy, look for the “Good Bet” logo appearing on vending machines in government buildings in Nevada. What is a “Good Bet”? “Good Bet” snacks and beverages are lower in calories, fat, sodium, and sugar than the typical vending machine snacks and beverages. 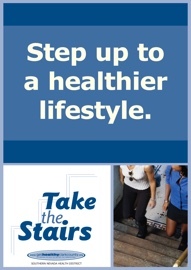 To help you make the healthiest choice, look for the “Good Bet” logo and select “Good Bet” snacks or beverages. The adage is true — old habits ARE hard to break. And for most people, riding the elevator is an old habit. 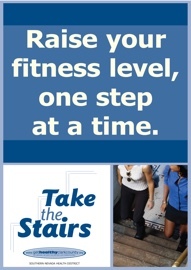 Some people even forget that there are stairs! 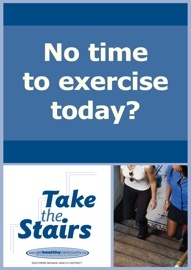 Posting motivational signs at the places where people have a choice between the stairs and elevator is an important aspect of encouraging people to use the stairs. For more tips on how to encourage employees to take the stairs, visit the CDC’s StairWELL to Better Health and Change Lab Solutions’ Opening Up Stairwells for Physical Activity.